Entrepreneurs will learn how they can get their products in Whole Foods Market at a workshop on Friday, Jan. 23, 2015. ENGLEWOOD — Mayor Rahm Emanuel will attend a workshop on Friday that is geared towards preparing entrepreneurs for how to sell their products in Whole Foods. The event is the third in a series of workshop — one was held in October and the other in November. 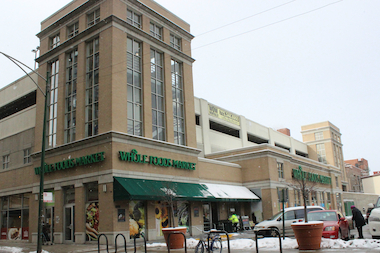 Friday's event will start at 8 a.m. in the U Building at Kennedy-King College, 740 W. 63rd St.
Attendees who scheduled appointments in advance will be able to meet one-on-one with Whole Foods Market buyers to discuss their products. Some will have the opportunity to get their products in the new Englewood store when it opens. Because all slots are now full, those interested in meeting with a buyer can still register, but they will have to meet with them at a later date. They are encouraged to attend the morning session. More information can be found at www.Greaterenglewoodcdc.org.